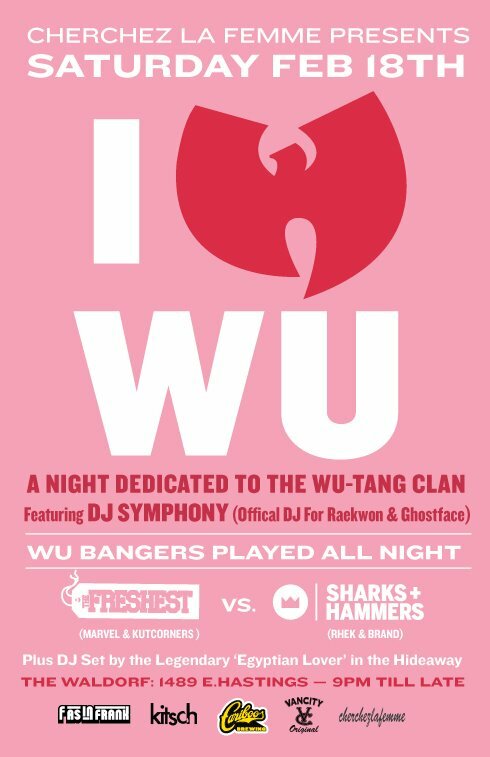 Please join us for our annual Wu-Tang party, A night dedicated to the Wu-tang Clan featuring Dj Symphony, the official dj for Reakwon the Chef & Ghostface! and The Freshest Crew, djs Marvel & Kutcorner's vs Sharks & Hammers Rhek & Brand. Tons of give aways all night Long! Oh and the EGYPTIAN LOVER is gonna be in the other room. Crazy.